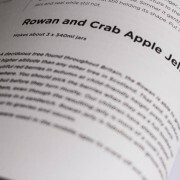 The Rowan tree is one of the most beautiful sights of early autumn and its berries make a fabulous jelly that is great with grouse and for adding flavour to gravies and sauces. You should pick the berries when they are a full­-bodied red colour, but before they turn mushy. Rowan berries were used in the middle ages to scare off evil spirits. You will feel like a witch stirring a cauldron of off­-putting ingredients when making this, but it all adds to the mystical ambience. Cook the fruit the night before the jelly is to be made. Wash the fruit well. Remove all the stalks from the rowan berries and put them in the pan with the quartered crab apples. Pour in enough water to come half way up the fruit, bring it to the boil, and then turn the heat down to a simmer and leave the fruit to cook, stirring from time to time. As it softens, use a large spoon to crush the fruit against the sides of the pan. When everything is soft and mushy, turn off the heat and tip the lot into your draining material. A jelly bag makes this easy, but what I do is cover the top of a large pan with a muslin, and then tip the mush into it so the pan catches any drips. When all the mush is safely caught, suspend it over the pot and tie it up. We have tried this in many ways: hanging it on the back of a chair or tying it to the knife rack in the kitchen. Basically, you just need to hang it any place where you can leave a large bowl or pot beneath it to catch the juice as it drips through the bag. Leave it overnight. In the morning, measure the juice in a measuring jug. You can squeeze the bag to get the very last remnants of juice out. This might cause your jelly to be cloudy, but as it’s generally used for cooking that doesn’t really matter. 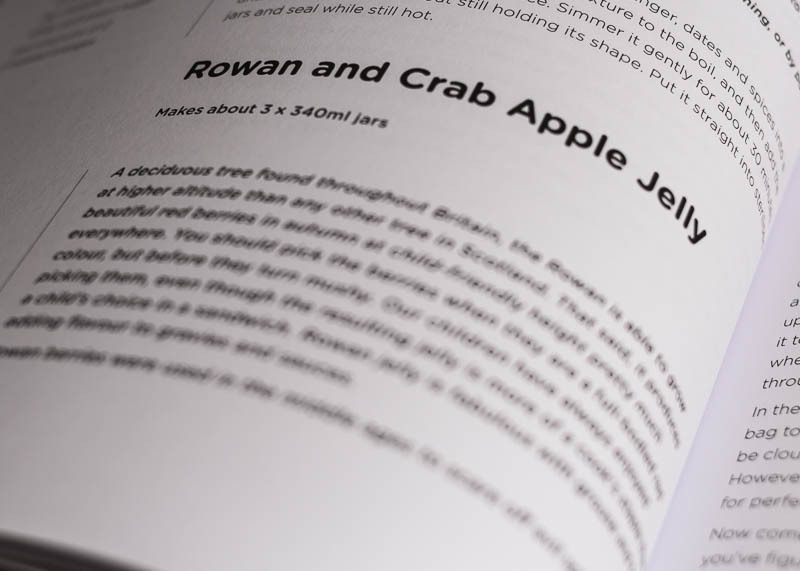 However, if you want your rowan jelly to be completely clear for a gift or just for perfection, don’t touch the bag. Now comes the maths. For every 500ml of juice you need 375g of sugar. When you’ve figured out your quantities, put the juice and sugar in your jam pan, heat it slowly until the sugar dissolves, and then bring it to a low rolling boil for 10 minutes. Test a teaspoonful on a cold saucer: if the surface of the jelly wrinkles when you push your finger on one end, it’s done. If it doesn’t wrinkle, boil it for a further 5 minutes and repeat the test. Leave the jam to cool for a couple of minutes, decant it into sterilised jars, and seal. 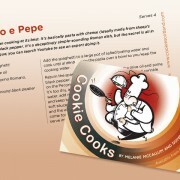 Buy Cookie Cooks by Melanie McCallum and Domenico del Priore here. Cookie Cooks launch party – Cookie Cabaret! 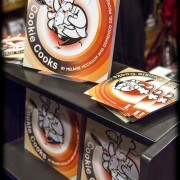 We’re really excited about our latest title, Cookie Cooks, which was launched at Glasgow’s Aye Write! Book Festival on April 12. 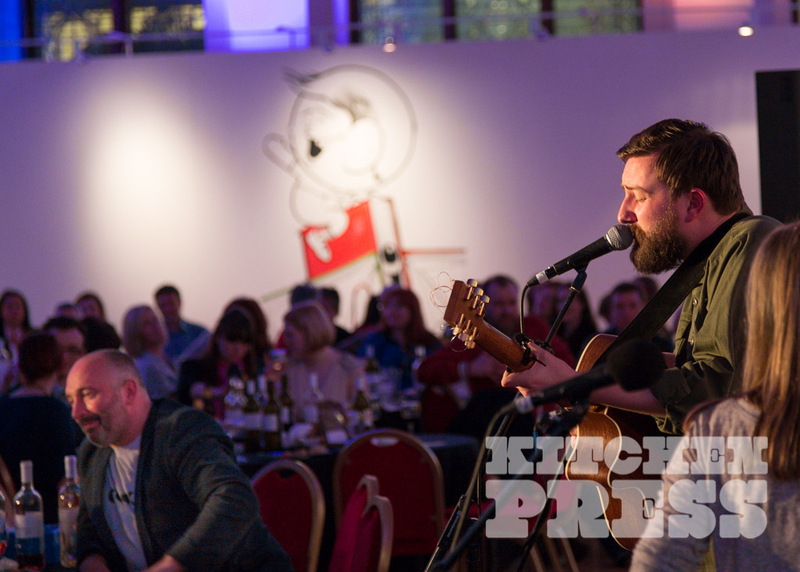 There was an amazing lineup for the Cookie Cabaret; fantastic food and wine from Cookie, music from Admiral Fallow, Dicky Trisco and Belle & Sebastian’s Richard Colburn, and live graffiti from Conzo Throb. BBC Radio Scotland’s Pennie Latin interviewed authors Melanie & Domenic0, then we all drank far too much wine while they signed books. It’s official… the Cookie Cabaret is coming! We’re launching Cookie Cooks at Glasgow’s Aye Write book festival next month. To celebrate the opening of Aye Write! we’re throwing a party. 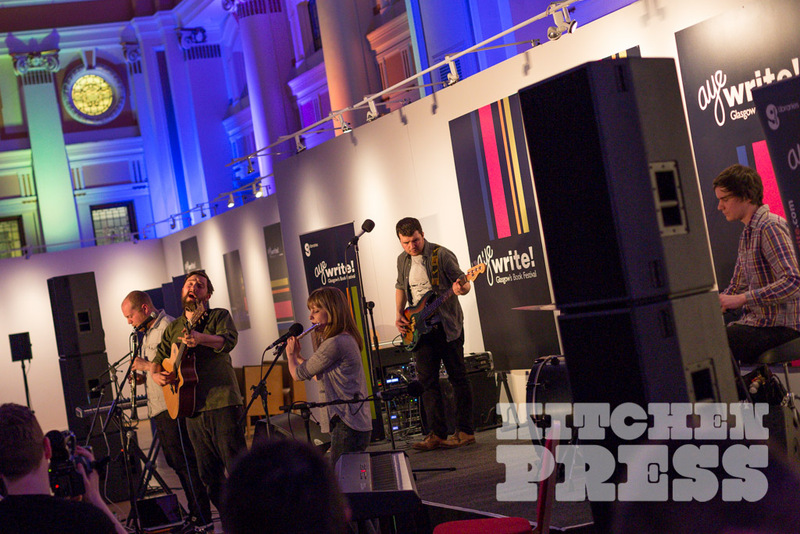 The Cabaret is a taster of the literary talent appearing at the festival, with readings from Denise Mina, William Letford and others. We’ve also got a headline appearance from hotly tipped Glasgow band Admiral Fallow: hear music from their acclaimed second album Tree Bursts in Snow. 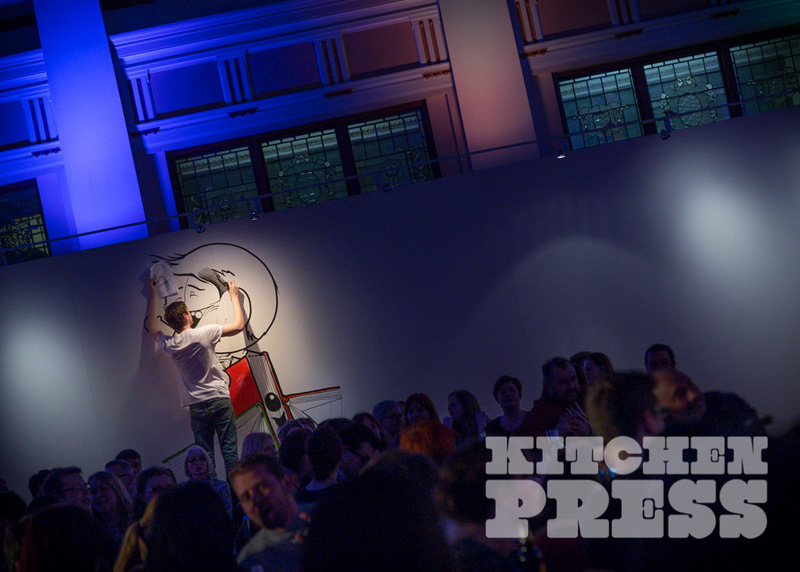 Plus we have a live DJ set from Dicky Trisco and Richard Colburn (Belle and Sebastian), and live art from graffitti artist Conzo Throb. The Cabaret also launches Cookie Cooks, the first cookery book from popular Glasgow restaurant Cookie. Owners Domenico and Mel will discuss their fusion of Scottish and Italian food traditions, and there will be a chance to sample some of their food and wine. 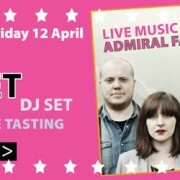 So, put Friday 12 April in your diary and sign up here for tickets. It’s going to be a great night! Crazy water, or ‘acqua pazza’, is a way of poaching fish. 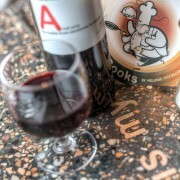 It has its origins on the west coast of Italy and has become well-known in holiday destinations such as Capri and Ponza. This is poached fish with flavour. It is an incredibly easy and healthy way to cook, and perfect for people on diets. Clean, gut and descale the fish (or get your fishmonger to do it for you). Put a little salt, a parsley stalk and half of a crushed garlic clove in the cavity. Pour a little olive oil in the bottom of an ovenproof dish. Put the fish in, and scatter around the chopped tomatoes, the crushed garlic cloves (broken up into pieces), and some chopped parsley. Season it and crumble in a little chilli pepper if you like. Now pour in the white wine, and add enough water to come up just below the middle line of the fish. Bake it for around 20 to 25 minutes. To check it is cooked, pull on a fin – if it comes away easily, it is ready. Use a slotted spoon to move the fish on to a plate, and then peel off the skin and take the flesh from the bones. Put the flesh back into the sauce in the oven dish and serve it hot or cold. Limoncello, the delicious after-dinner digestif, is really easy to make. In Italy we can buy 95% alcohol specifically to make liqueurs, but this isn’t an option in the UK so just use the strongest vodka you can find. We use our own, unwaxed lemons. As always, sterilise your clean jars and bottles by putting them in the dishwasher for a cycle or by giving them 10 minutes in the oven at 180°C. This makes a lovely Christmas present. Firstly, remove the zest from the lemons with a sharp knife, taking care not to include the bitter white pith. Drop the zest into the sterilised storage jar, then pour over the alcohol, seal and place in a cupboard. If you remember, you can shake it gently every few days. I never do. It will be ready in about three weeks, but longer is fine. Once your lemon zest has steeped, make the syrup. Put the sugar and water in a pan over a medium heat and bring just to the boil, but don’t let it brown at all. It will thicken up to syrup with a few minutes of simmering. Once thickened, leave the syrup to cool. Strain the alcohol using a sieve, and add it to the syrup. Decant the mixture into sterilised bottles and it’s ready. Once you have made your own, you’ll never buy it again. With their wonderful, almost meaty flavour, walnuts are my favourite nut. I truly think they go well with everything. We have some really productive trees in Italy, and if Domenico hasn’t stripped them to make his walnut liqueur, then I get the kids to collect them all. In a food processor, grind the walnuts, Parmesan and garlic to a paste. Add the olive oil and put the mixture into a jar, with a thin layer of oil over the top if you’re keeping the pesto for later. If you’re eating it there and then, mix the ricotta into the pesto until it’s evenly distributed. This is great with gnocchi, or stirred into a plain risotto.